A creamy textured cow milk cheese with an intense lactic flavour of fresh butter. Made by master cheesemaker Ernesto Madera López in Cabo Vidio, Asturias. The raw milk for Massimo Rey Silo comes from the Las Teras livestock near Cabo Vidio, in the west coast of Asturias. 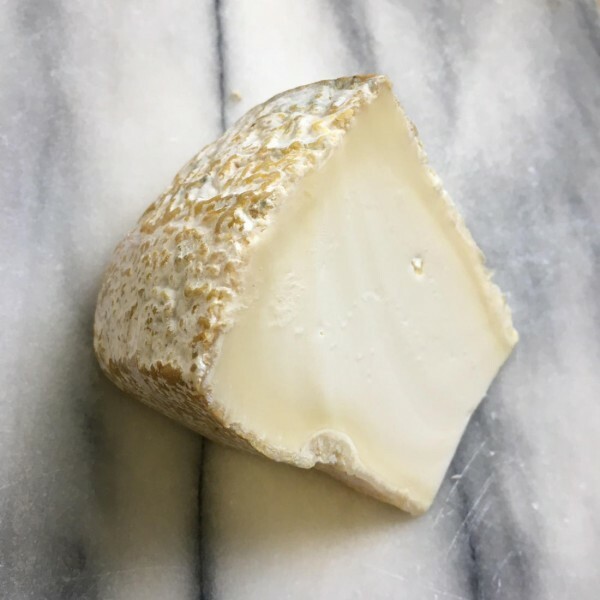 Interestingly, the name Massimo actually refers to an Italian cheesemaker who worked with Eernesto and has nothing to do with the size of the cheese. The milk is allowed a natural, slow acidification after which minimal animal rennet is added. After 24 hours the curd is moulded by hand and left to drain. After three day the cheese is salted by hand. It dries for 10-15 days and is then aged in ernesto’s subterranean cellar for 3 months. A good breakfast cheese with a Caerphilly like texture, tangy, lactic, sweet and complex flavours. When dry makes a very interesting cheese to grate and completely changes pasta dishes. Pairs well with honey and dry cider.